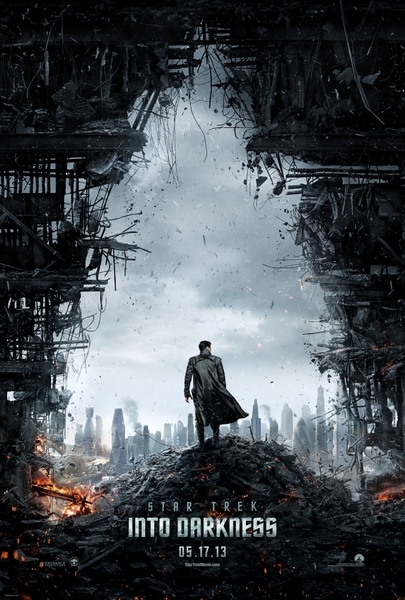 Here is the teaser trailer and poster from Paramount Pictures’ Star Trek Into Darkness. The film is directed by J.J. Abrams, starring John Cho, Bruce Greenwood, Simon Pegg, Chris Pine, Zachary Quinto, Zoe Saldana, Karl Urban, Anton Yelchin, Benedict Cumberbatch, Alice Eve, Peter Weller. Here is the new trailer from CBS Film’s upcoming film, THE WORDS . The movie is directed by Brian Klugman and Lee Sternthal, starring Bradley Cooper, Zoe Saldana, Jeremy Irons, Dennis Quaid, Olivia Wilde & Ben Barnes . THE WORDS opens in theaters September 7th, 2012! . Here is the trailer from CBS Films’ upcoming film THE WORDS. The movie is directed by Brian Klugman & Lee Sternthal, starring Bradley Cooper, Zoe Saldana, Jeremy Irons, Dennis Quaid, Olivia Wilde & Ben Barnes. THE WORDS opens in theaters September 21, 2012. Starring Bradley Cooper, Oscar®-winner Jeremy Irons, Dennis Quaid, Olivia Wilde and Zoë Saldana, the layered romantic drama The Words follows young writer Rory Jansen who finally achieves long sought after literary success after publishing the next great American novel. There’s only one catch – he didn’t write it. As the past comes back to haunt him and his literary star continues to rise, Jansen is forced to confront the steep price that must be paid for stealing another man’s work, and for placing ambition and success above life’s most fundamental three words. Principal photography has begun today on the gripping and gritty dramatic thriller currently titled Out of the Furnace starring Oscar®-winner Christian Bale (The Fighter), Oscar®-nominated Casey Affleck (The Assassination of Jesse James by the Coward Robert Ford), Zoe Saldana (Avatar) and Oscar®-nominated Sam Shepard (The Right Stuff). Oscar®-nominated Woody Harrelson (The Messenger) and Oscar®-winner Forest Whitaker (The Last King of Scotland) have also joined the award-winning cast. Additional casting to be announced. The film is written and directed by critically-acclaimed Scott Cooper (Crazy Heart).